1. In a large bowl, combine flour and salt. Cut in shortening until mixture resembles coarse crumbs. Stir in water until mixture forms a ball. Divide dough in half, and shape into balls. Wrap in plastic, and refrigerate for 4 hours or overnight. 2. Roll out dough on a floured counter. Don’t over work it. Place bottom crust into 9-inch pie plate letting the crust hang over the edges. Mix together the blueberries, sugar and flour. Pour into the crust. Sprinkle the blueberries with lemon juice and dot with butter. 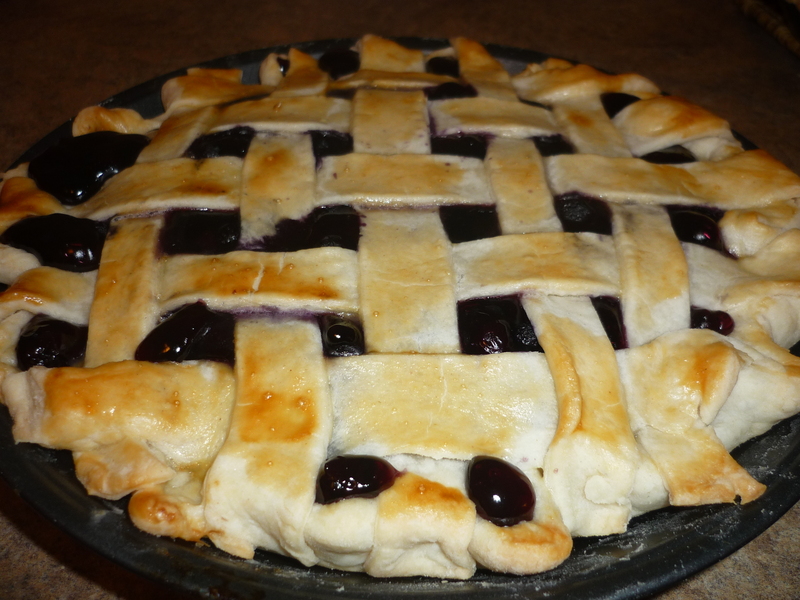 Top with lattice crust. 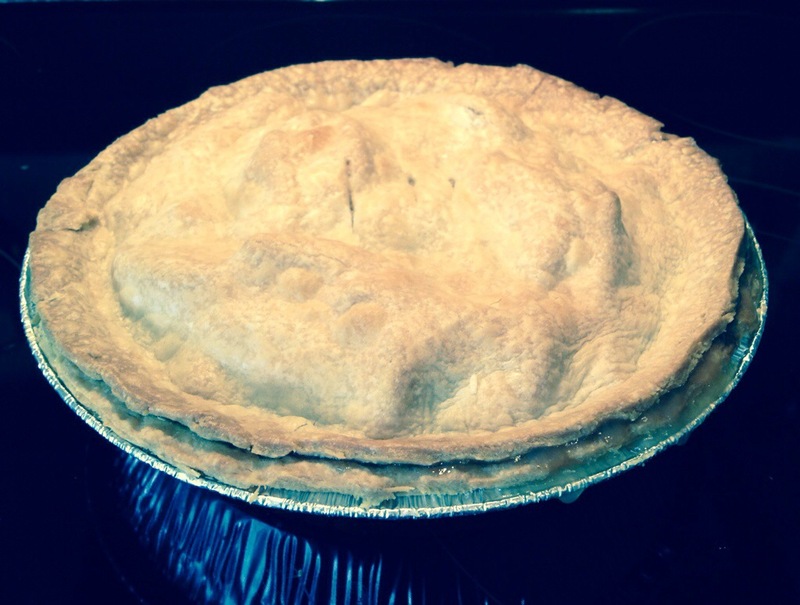 Seal and crimp edges of pie. 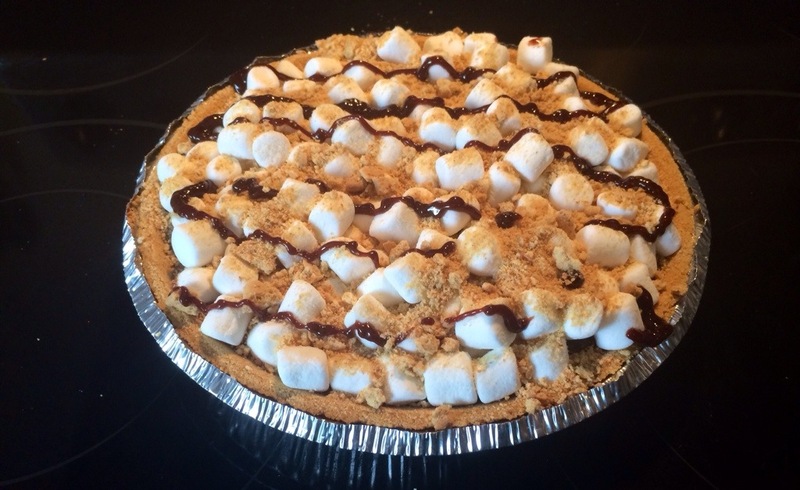 Bake in a preheated 425 degree oven for 35-45 minutes until the crust is golden brown and the juices are bubbly. 1. Preheat oven to 425 degrees F (220 degrees C). Melt the butter in a saucepan. Stir in flour to form a paste. Add water, white sugar and brown sugar, and bring to a boil. Reduce temperature and let simmer. 3. Bake 15 minutes in the preheated oven. Reduce the temperature to 350 degrees F (175 degrees C). 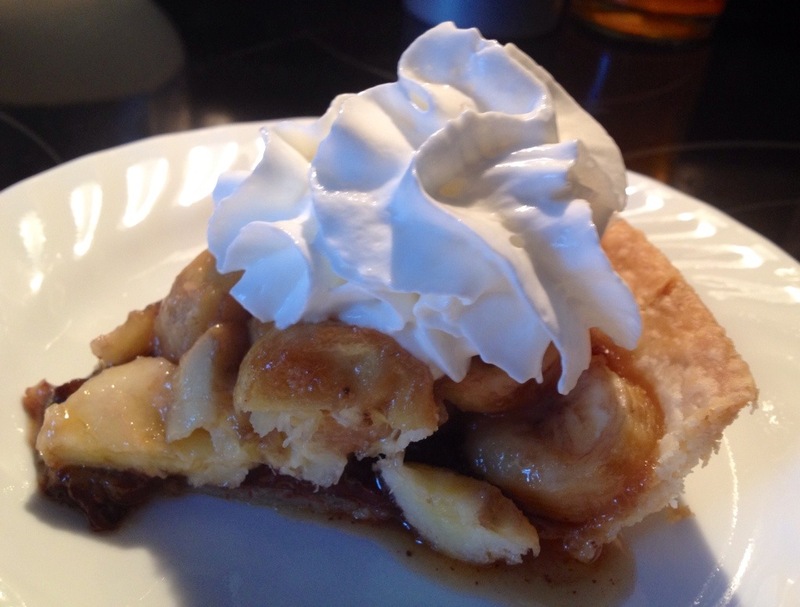 Continue baking for 35 to 45 minutes, until apples are soft.